Styled with everdeen t-shirt . Size 24 of this colour will ship close to Jul 2, 2019. Learn More about special orders. 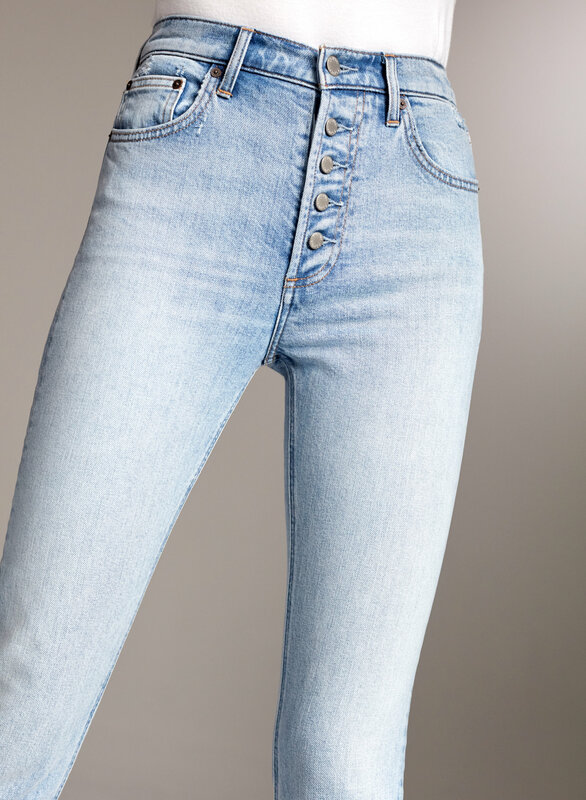 Inspired by women who pushed creative boundaries, the Yoko is Denim Forum’s signature high-rise slim jean. 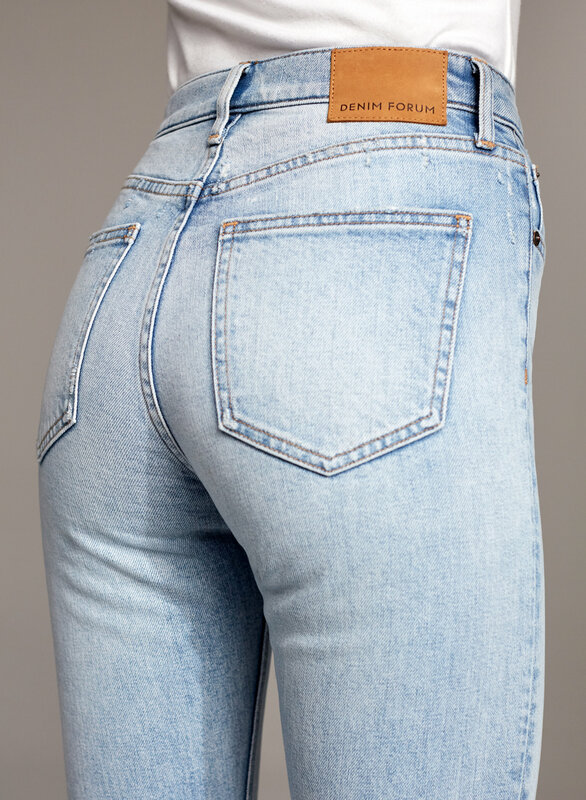 The Yoko fits like a treasured vintage find that feels good, thanks to a touch of stretch. Premium Italian, organic-cotton denim becomes more beautiful over time — we call it performance art. 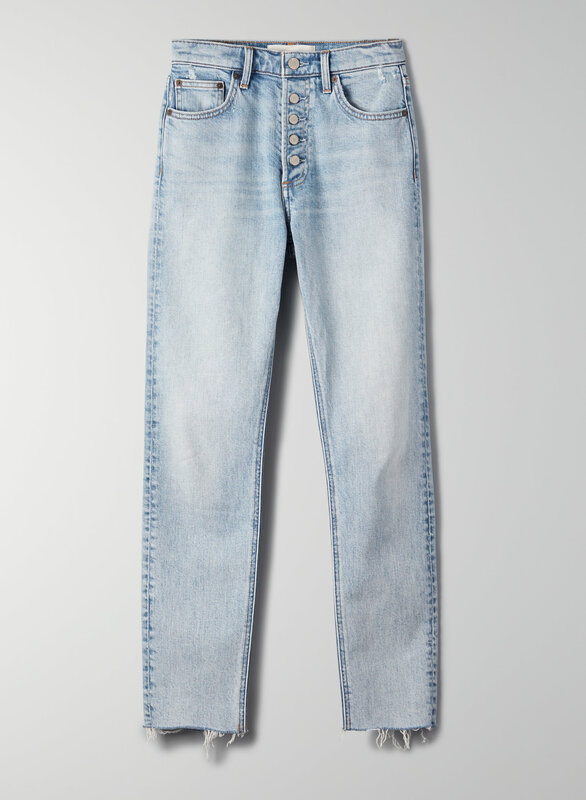 This version features an exposed button fly and comes in a pale blue with fading throughout the leg.